On a beautiful Sunday the Barrie Club handed over the water from Georgian Bay to the Orillia Club. 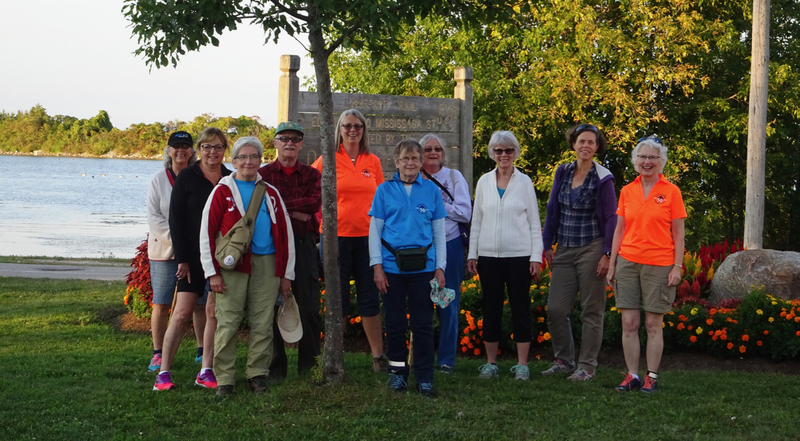 Marion Brophy, Past President of the Orillia Club, carries the relay water bottle during a Wednesday evening hike. 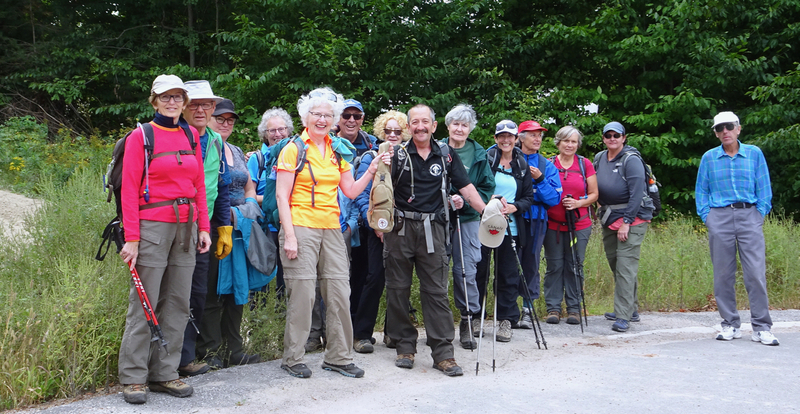 Hikers paused in front of Lake Couchiching where the Ganaraska Trail heads east from the waterfront trail. Nearing the final destination at the 50th Anniversary celebrations at Lakehead University on Sept. 29! Next Next post: 50th Anniversary Summit… a few photos of a very successful event.